If helping people feel better is your passion and you’ve decided to start a career in physiotherapy, discovering effective marketing strategies for physiotherapists can help you grow your customer base and, more importantly, build a loyal following. The physiotherapy industry has experienced very positive growth in recent years and is expected to continue growing in the future. A recent study by IndustryARC concluded that the main driver of this growth is the aging of the general population along with the occurrence of various diseases including arthritis, diabetes, cardiovascular diseases, and strokes. One certainty in life is that everyone gets older. Thanks to medical advancements people aren’t just getting older, they’re living much longer, too. This increase in the average life expectancy means the elderly population is larger than its previously been making orthopedic and geriatric physiotherapy services the biggest market share in the global market. This represents a great opportunity for entrepreneurs who want to set up their own physiotherapy center or work independently offering home services. In this post, you’ll discover five marketing strategies designed for physiotherapists that can help you boost your business and grow and maintain a constant flow of clients. A mistake often made in marketing is thinking that taking a general approach to your promotions and advertising is the best way to attract the most customers. After all, if you keep things neutral, you don’t risk alienating potential clients, right? Although it seems like targeting a wider audience will get you more customers, this will have the opposite effect. Instead, choose a target audience and focus on them. Focusing on a specific type of client allows you to design a specific communication strategy to attract that niche and, therefore, make it easier to convince them that your service is made for their specific needs. Imagine that your mother is suffering from knee arthrosis and you want to find a physiotherapist that can alleviate her pain and help her gain mobility. On the one hand, you find a physiotherapy center that treats all types of ailments for all types of people. Its website is loaded with information and full of menus and submenus that show all kinds of services and therapies, so that, at first glance, it’s difficult to determine if they even treat knee arthrosis. You see all kinds of images featuring athletes, children, and elderly people. Finally, to make an appointment with this center you have to call and go through an answering machine service or use the integrated online system on the website. On the other hand, you find another center that specializes in geriatric physiotherapy. The website offers a simple design with only relevant information and intuitive navigation. The images feature older people and there’s a blog with resources including exercises to help relieve common ailments in elderly people. It also offers home services as well as a direct and simple telephone service. Which of the two would you choose? The more focused option is able to streamline their service in order to better attract customers despite being specific instead of general. 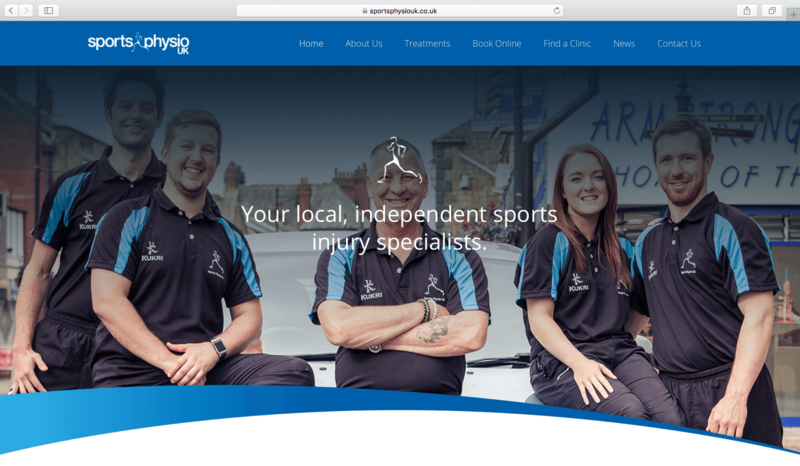 A real-world example of this specialized marketing strategy is the British clinic Sports Physio, which focuses on athletic injuries and conveys this message through the colors, design, images, and text on its website. Differentiate yourself from the competition: If you focus on an audience and/or a specific type of therapy, your work will have added value that will separate you from other physiotherapy centers or physiotherapists that offer all kinds of services for all people. Increase your margin per patient: Philip Kotler, considered the father of modern marketing, says that people are willing to pay more for a specialist that meets their needs. As a specialist, you can set higher prices for your sessions without fear of scaring away clients. Gain credibility: As a physiotherapist, you know that you have a great responsibility since your clients decide to put their health in your hands. For them, choosing the right specialist is not an easy decision. Focusing on a specific audience will help you instill more confidence in potential clients since they will perceive you as an expert in the field. They’ll have the feeling that they’ll be in the best hands by hiring you. It’ll also be easier for you to be seen as an authority in the industry. Be more visible on Google: If you specialize in a specific clientele or in certain services, you can optimize the SEO of your website by using more specific and less competitive keywords. This will make it easier to gain visibility through search engines. Reduce costs: Specialization allows you to focus your resources, your money and your time on a smaller audience or on specific treatments. This is a great advantage if you’re a freelance physiotherapist and you can’t afford to invest millions of dollars in mass advertising or in a wide variety of products and devices to treat a multitude of ailments. Instead, you only need to invest in the necessary materials and products to treat your target audience. Similarly, you’ll only have to use specific marketing channels to best approach that audience. #2 Create Newsworthy Content and Utilize Local Media. As a physiotherapist, the nature of your business is inevitably local. The press and local media that cover your area can be an effective channel to publicize your business, especially if the age of your target audience is relatively advanced. However, if you go to the media asking them to talk about your physiotherapy center and the services you offer, they’ll most likely offer you advertising space that you’ll have to pay. This will create less impact than a piece of valuable content. According to MDG Advertising, 70 percent of consumers prefer to discover products through relevant content and not through traditional advertising. To advertise your business indirectly and appear for free in a newspaper or on your local radio station, you must create newsworthy content that’s directly related to your services and that’s also attractive to journalists. For example, you can carry out a poll or make a report about one of the problems that you treat as a physiotherapist that reveals interesting facts about the population in your region. You can also talk about an innovative technique that you’re applying in your center that is showing great results. Write a press release. This should contain a headline, an opening phrase, the body (describe what your story is and why it’s important) and your contact information. 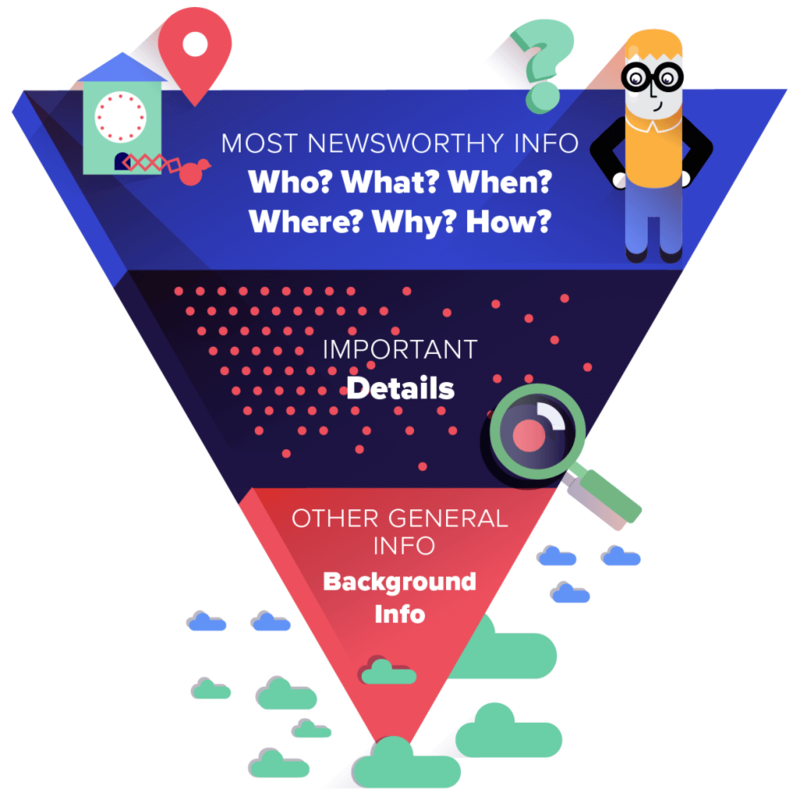 Analyze the media you want to publish your content. Seek direct contact with a journalist who usually writes or has written about topics related to physiotherapy or health. In this way, there will be more of a chance that the media outlet in question will end up publishing your content. Make double contact with the journalist or the media outlet. Make the first contact by phone and ask for a specific journalist or the person in charge of the relevant section that you’re looking for. Congratulate them on their last article or work (everyone likes to be recognized for a job well done) then briefly explain your subject. If you get the journalist interested in it, they’ll give you their email so you can send them more information and resume contact with them. This makes it easier for journalists to remember you and your email will be less likely to get lost in their inbox. Have you ever heard of AdWords? It’s the pay-per-click platform that Google puts at your disposal so you can create ads that appear on its results pages as well as other sites. 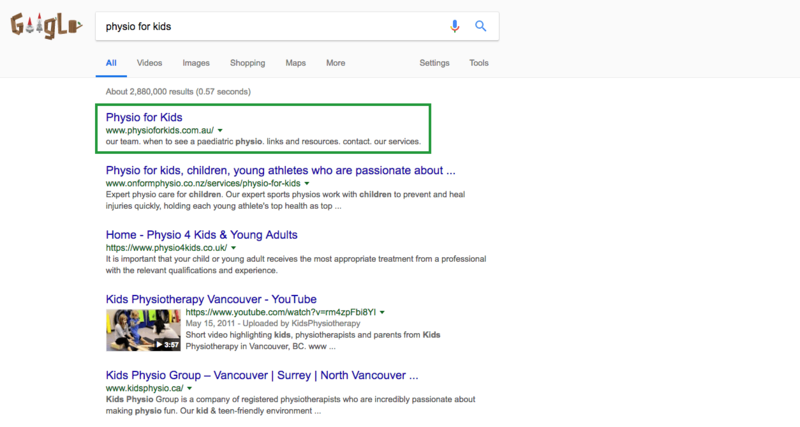 If you advertise on Google, you can get your physiotherapy center’s website to appear within the first results every time someone searches for a physiotherapist in your city. People tend to search for physiotherapists through Google. According to Google Trends, the popularity of global searches that include the word “physiotherapist” has remained stable for the past five years. The same report stated that October is the most popular month for this type of search. Therefore, Google’s an acquisition channel with the potential to help you reach your target. Advertising on Google doesn’t interrupt navigation. Google Ads aren’t intrusive because they only appear when users search for a solution to a specific problem. In this case, a user would be searching for a physiotherapist. Users who see your ad on Google after conducting a search are much more receptive than those who, for example, hear an ad from your physiotherapy center on a local radio station at a time when they don’t need the service. With AdWords, you spend less money on advertising. An advertising campaign through Google AdWords is usually less expensive than any campaign in traditional media, such as newspapers, television or radio. You only pay when someone clicks on your ad. This makes your campaigns more profitable. If your physiotherapy center isn’t on Google Maps, you’re missing out on a great opportunity to gain free visibility. To fix this, make sure to create an account with Google My Business and verify your center. If someone has already verified a business at the same address where you want to register yours, you have the option to request the property. Now, you may be wondering why that’s so important. 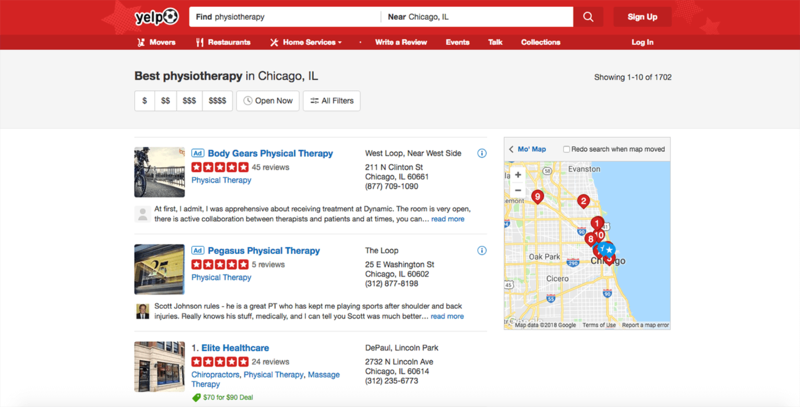 Well, going beyond the possibility of your center appearing on Google Maps, being registered in the Google business lists will also give users the possibility to write reviews about your physiotherapy center. When someone does a search and your website appears in the organic results (non-paid results) Google will enrich the summary of your website that appears on the Google results pages with star ratings and the average score based on the provided reviews. A rich snippet of your website allows you to stand out from the other web pages on a Google results page and, as stated in Search Engine Land, it can increase your rate of clicks up to 30 percent. 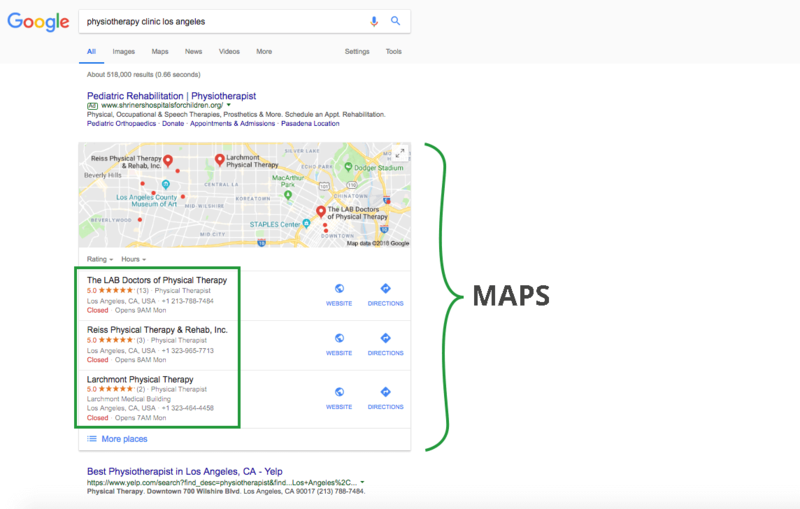 In addition, having a good number of reviews on Google increases the chances that the search engine will recognize your business and include it at the top of the listings on Google Maps when someone searches for “physiotherapy center.” In searches, the listings of Google Maps sites appear below the ads (if there are any) and on top of the organic results. Considering that most users usually click on the first results on the first page, achieving a good position on the list through Google Maps can help you gain a lot of visibility. Now, things usually don’t happen by themselves and, while positive reviews can grow your business, negative reviews can destroy it. If you design a strategy to increase positive reviews, you can help make negative reviews go unnoticed. Ask your most satisfied customers to write a review. Make sure that those clients with whom you’ve had a good relationship and who have experienced an improvement through your physiotherapy sessions leave a positive review on Google with a rating of four or five stars. A ReviewTrackers survey revealed that consumers don’t trust companies that have scores below four stars so their star ratings are important for your business. Through these positive reviews, you’ll instill more confidence and get your potential customers to hire you more easily. Offer an incentive for reviews If you can’t get your clients to write reviews for your business, offer them an incentive like a discount on the next physiotherapy session or even one free session. This can motivate them to leave their opinion. You can create a poster and hang it at the reception desk of your physiotherapy center or print out cards to give to your clients who’ve written reviews These cards can then be exchanged for the discount or free session. Respond to negative reviews. If you respond to a negative review you’ll show users that you care about your customers and their experiences. According to a Bazaarvoice survey, seven out of 10 people say their opinion changed after a company responded to a review. There are also other platforms where users usually consult reviews before hiring any service. Yelp is a popular review site that already hosts more than 70 million reviews on all types of businesses and receives an average of 130 unique visits every month. If you liked this post and you want to know more, you might also want to read this interview with the founder of Acupuncture by Devon, one of the leading acupuncture clinics in San Diego (California). In that interview, she discusses the marketing strategies she used to achieve success in her business. With the tips here and the information in that interview, you can build a solid marketing strategy for your budding physiotherapy business and not only attract new clients but maintain a loyal customer base that will help you grow and succeed.